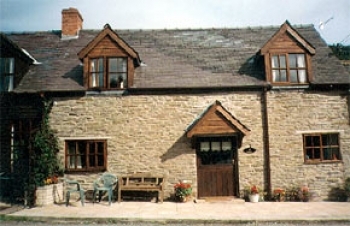 Wagtail and Dipper Cottages are two converted beamed cottages on the owner’s working farm, nestling by a river with kingfishers in the beautiful Clun Valley. On the ground floor is a very large and spacious kitchen/dining room with fitted painted pine units, hob, oven and microwave. Plus a cloakroom with a toilet and washbasin. Also there is separate sitting room leading off it. The divided stairway leads, on one side, to a double room and bathroom with bath and washbasin. The other side leads to a twin room and a bunk bedroom with a shower. Downstairs, there is a large lounge with dining area and open fire. 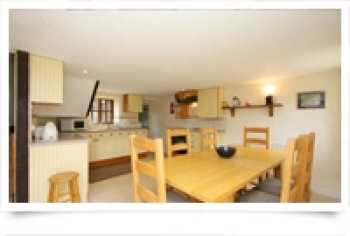 The well-equipped kitchen has a dishwasher, granite work tops and has garden access. Also on the ground floor is a shower and toilet. Double sofa bed in the lounge, Upstairs, there is a bathroom with handbasin, bath and toilet. 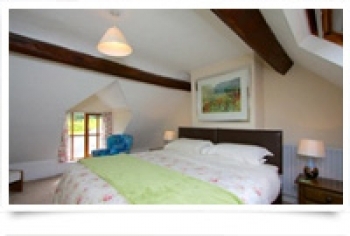 There is a large bedroom with a super king-size zip and link bed (double or twin). 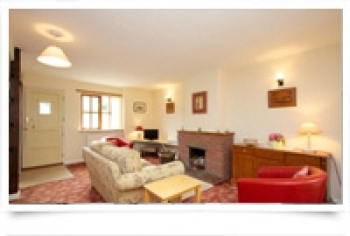 Wagtail Cottage and Dipper Cottage are ideal for walking holidays. The small historic town of Clun is only one mile away and there are three good pubs nearby.